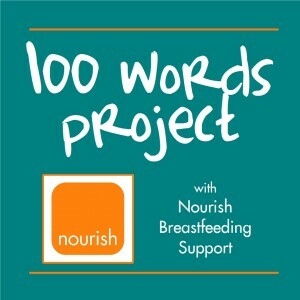 In celebration of World Breastfeeding Week and National Breastfeeding Month, I’ve decided to bring back our 100 Words Project. About a year ago, I was struck with the very limited stories I heard of breastfeeding. On one hand, I heard how terrible and awful breastfeeding was, that it wasn’t realistic and it wasn’t enjoyable. On the other, I heard about how breastfeeding was magical, “like the heavens opened up and rainbows appeared”. Neither of these scenarios were the reality for most women (though certainly some fall into each category). Breastfeeding, like so many things in like, is a series of ups and downs. For some women, it is empowering. For some women, it is devastating. I realized that it was time for our collection of stories to increase. So, I asked women to share about their breastfeeding journeys in 100 words or less. I wanted stories that were real, that were honest, that didn’t sugarcoat. The word limit allowed for real creativity and put asked those submitting to think keenly about exactly how they wanted to express themselves. Many stories have been posted here in the past year and it is time to share some more. My beautiful baby girl is 9 months old. I’m working fulltime, getting my doctorate, and my supportive husband is also working and in graduate school. Life is busy, stressful, tiring. And of all the stresses, the most is breastfeeding. Stress is pumping, milk supply, freezing, finding places to pump, soreness, exhaustion. And what am I most proud of? Being a successful professional? Becoming a Dr.? Doing it all? No. It’s breastfeeding. My baby at my breast is the best thing I can offer her. It’s the best thing I can offer this world. I’m so proud. Will you join us as we celebrate all that breastfeeding is?